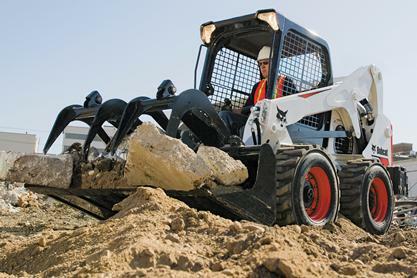 With the operator-friendly controls on Bobcat® skid-steer loaders and compact track loaders, you’re able to precisely control your machine and attachments. An engine speed control is in front of you on the right-hand corner post of the cab. Plus, you can adjust the foot pedal position to match your preferences. 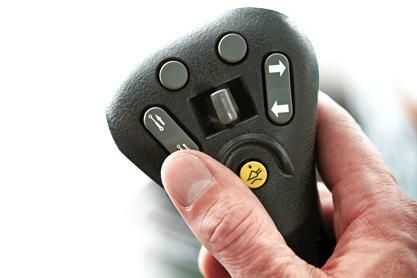 Fingertip controls make your attachment comfortable to operate, easy to control and simple to adjust while driving. Dual-direction detent allows hydraulic flow to be engaged continuously, in either direction, without holding a switch. Lock the flow in the opposite direction for soil conditioners, sweepers, tillers and other attachments. Variable hydraulic flow allows you to slowly move cylinders when working with a grapple. Available as a standard feature for 600 and 700 frame size loaders, a low-effort hydrostatic pump reduces drive lever effort by as much as 25 percent. Loaders equipped with Bobcat standard controls or the Advanced Control System (ACS) use this new pump, which will help decrease operator fatigue, especially for operators who are in their machine for an extended amount of time. 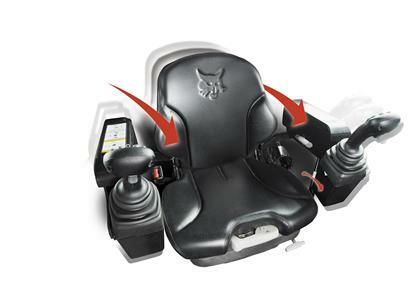 On loaders with Selectable Joystick Control (SJC), the joysticks are mounted to the seat. As your suspension seat moves up and down, the joysticks move with the seat for, reducing arm movements while operating.